The rare and endangered Red Hills salamander (Phaeognathus hubricht), the official state amphibian, is named for the Red Hills district in the East Gulf Coast physiographic section. 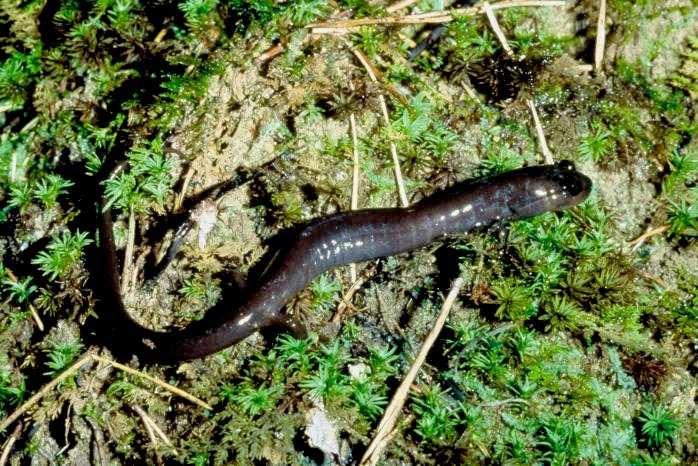 The salamander has been recorded only in Butler, Conecuh, Covington, Crenshaw, and Monroe counties. Courtesy of U.S. Fish and Wildlife Service.